Also known as Barlow and Barley, our Burleigh ancestors moved to Lowestoft and settled there for a generation before most of their children moved to Northumberland. Here the surname was retained as Burleigh by some branches, whilst others used Barlow. Although from an agricultural background, the Burleigh sons born in Lowestoft became mariners. Two settled in Blyth, whilst another lived in Newbiggin by the Sea, where descendants still live today. Our Susannah Burleigh, also moved to the Blyth area. Her marriage certificate to John Lumsden gives her surname as Barlow. After his death, Susannah remarried, her second husband being a fisherman from Newbiggin-by-the-Sea. 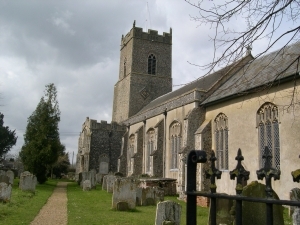 By the last decade of the 18th Century, there were two Burleigh families living in the parish of Metfield, Suffolk - Samuel and Diana, and John and Eunice. Naming patterns were very similar, and it seems apparent that they must be related, but the link still eludes us. 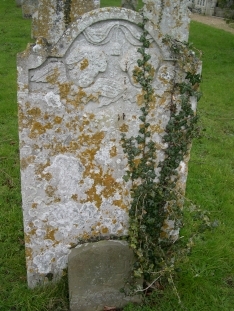 The gravestone of Samuel and Diana in Metfield Churchyard. 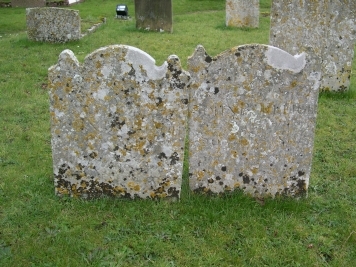 The gravestones of John and Eunice Burleigh.